Joe Mauer is a catcher, Dustin Pedroia is a second baseman, therefore it is more valuable to have such offense from Joe Mauer rather than Pedroia. Also, you consider that Mauer had 2 more RBI and he had almost 100 less plate appearances and played for the weak hitting Twins, rather than the juggernaut offense of the Red Sox, and you get a pretty lopsided comparison. Maybe I’m not jealous or biased, Julia. Maybe I just checked my facts before I ran my mouth. Firstly, the Gold Glove season was 2008, not 2007 which I was referring to. Pedroia shouldn’t have won the Gold Glove in 2008 anyway: if you look at his range factor numbers that year compared to the league average, there really isn’t much to see. His range was average, and fielding percetage is not a telling stat if you have average range. The only reason he was given the award was because he is a Red Sox, and the Red Sox get tons of attention. so whenever Dustin Pedroia made a nice play, the nation was watching ESPN, and ESPN continuously played Dustin Pedroia’s nice play. No-one really cared about the other AL second basemen, because they’re not Red Sox. I laugh at anyone–AHHHH BUG!!!! Sorry, a bug got on my finger for a sec. As I was saying, I laugh at anyone who says any Red Sox starter is “underrated”. I understand that the Yankees are hugely overrated too, but in these past few years, all eyes have been on the Red Sox. You know, the Yankees have a 4 game losing streak, Mark Teixeira is slumping badly, and our pitching smells like donkey, but that’s totally irrelevant(sarcasm). I’ve been thinking about this for a while now, and the more I think about it the less riled up I get about it, but I still want to share this with you since I figure it makes for an interesting blog and I don’t want to rant about the lack of consistency we’ve had this year and our completely suckiness with runners on base. So, allow me to share with you just exactly what “We Love The Little Guys” is supposed to mean. I’ll commence this discussion with sharing a little fact with you: did you know that Jason Bartlett was 18th in the MVP voting in 2008? Yes, Jason Bartlett. The speedy but not that speedy, average hitting, powerless Jason Bartlett(although he is the proud owner of 4 home runs this season). That Jason Bartlett(although if it were any other random Jason Bartlett, we’d have to behead the guy(s) who voted for him). 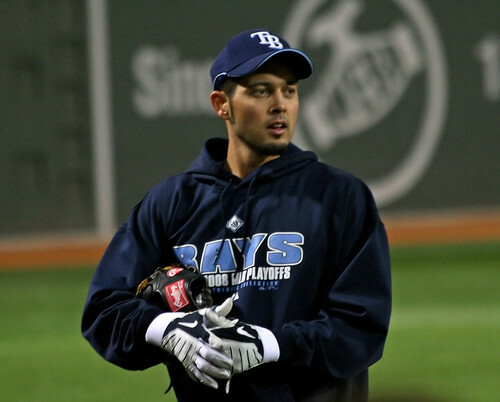 Somehow, even though he hit .286 and had a .329 OBP, even though he had an 82 OPS+, he still managed to not only be in 18th place for Most Valuable Player, but he was also voted the Tampa Bay Rays Most Valuable Player. Really? For the love of God, he had a .329 On Base Percentage. How valuable could that possibly be?! You mean, he was more valuable than Ian Kinsler, Mark Teixeira, and Ichiro Suzuki that year(ranked in 20th place, below Bartlett)? I know he didn’t get any first place votes, that would be disastrous, but regardless, this guy should be nowhere near consideration. Now let’s be clear: I am not a Jason Bartlett hater. I am not having a tall glass of Hatorade right now. And I am not saying that every player who should be considered for MVP should have 30 homers and 100 RBI. I thought Joe Mauer would’ve been a much better MVP pick than Pedroia. But seriously, how is this guy in any way a super valuable player? First of all, people will say that he was a big boost defensively. So, of course, I looked up some statistics. And I gathered that his defense was average; maybe even below average. His range is in no way superior to the typical shortstop, and if you say his fielding percentage is good then I will smack you across the face. Over the internet, anyway. But you know what everybody says. They say he’s valuable because “he always seems to come through” and “he always does the little things to help you win”. Of course, we don’t know this because he’s the little guy. He’s the little guy, he only hit one home run and so you’re all overlooking him and you always look at the 30 home run guy instead of this guy, who always comes through. Oh really? How exactly did Bartlett always come through and do the llittle things to help you win? What little things? Please, I want you people to tell me because I have had such a hard time trying to find out just what little things he does. He had 5 sacrifice bunts and 4 sacrifice flies in ’08, so it can’t be those little things. It wasn’t his magnificent eye; 22 walks in a full season is not an enormous source of pride. It’s not like he always seemed to come up clutch; .293 with 2 outs and RISP is not terrific. So why is he so incredibly valuable? Well, let’s be honest here. Baseball fans love little people. Not necessarily people little in stature, though David Eckstein is a primary example of this. People simply adore the guy who hits only a couple home runs, is fast but is not that fast, plays average defense, and is on an extremely successful team. Whenever a team has a very good record and makes the playoffs, and usually goes deep in the playoffs, it’s never the guy who was a catalyst for his team, it’s never the guy who steals his way into scoring position and took extra bases or had heads up baserunning all year long, it’s never the guy who gave his team leads and put his team on the board with extra base hits. It’s always this guy. In ’07, it was Dustin Pedroia (although he did hit for a very good average, he was mediocre defensively but he hit well that year). In ’06, it was David Eckstein. In ’05, it was Scott Podsednik. People always do this and they never seem to realize that maybe Evan Longoria, a guy who was great defensively and great offensively, was more valuable than this guy. I wonder when this unhealthy obsession with the little guy ends, if it ever does. I love making predictions, don’t you? I decided to have a little fun on this one and I picked the two Roys: Halladay and Oswalt. They’re both terrific pitchers, Oswalt being quite underrated. This would be HAlladay’s second Cy, his first one was in 03. He’s easily, in my opinion, the best pitcher in the American League. He’s also probably the second best pitcher in the game to Johan Santana. Roy Oswalt is very underrated. He’s had the most wins(bad stat, I know, but still) since 2001, and will likely reach 200 at the end of his career at the pace he’s going on. This would be the first Cy Young for the 31-year old 3-time All-Star. The MVPs were some of the easiest picks: How can you go wrong with Miggy Cabrera and Davey Wright? They’re both fantastic young players who have never won an MVP yet are fully capable of doing so. They have great power and average. Cabrera is a decent fielding first baseman, Wright is a decent fielding third baseman who’s defense is quite overrated. I think Cabrera is going to be better than he was in his fantastic 08 campaign, and that Wright will use his full ability and go back to stealing bases like he did in 07, as well as hit for a high average and hit for a ton of power. There’s just so much talent in both of these guys. The reason I put both Teagarden and Wieters for the ROTY in the AL is that I’m not sure that Teagarden will get enough playing time. If Taylor does get 400-500 at bats, I’m fairly certain that he’ll rake. However, it’s also difficult to argue with Wieters’ talent. He is a better hitter than Teagarden, but I think that it’ll be more difficult for him to play in the MLB in his 2nd professional year, as opposed to the 25 year old Teagarden who got some playing time in 08. 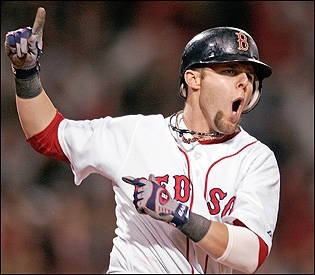 I’d be somewhat surprised if Saltalamacchia played over Teagarden. As for Colby Rasmus, well, he’s got a chance to win the starting center field job this year. He has a bunch of talent, offensively and defensively. Not much to say about Valverde, we all know he’s capable of getting the save title in 09. I don’t think K-Rod will win it because the Mets give you less save oppurtunities than the Astros do, as far as I’m concerned. This is the exact reason that Brian Fuentes is my choice for the save champion in the AL: K-Rod got those 62 saves because the Angels often gave him the perfect save oppurtunity, and he got the job done. Fuentes certainly is able to do what K-Rod did last year in my mind. Not much to say here. Ichiro is a fantastic average hitter, a batting title would be nothing new for him. I talked about Wright earlier: it’s surprising that I’d pick him over Pujols, isn’t it? Well I think Wright is just going to have a fantastic year, average wise, power wise, and speed wise. Again, not much to say here. Miguel Cabrera, who I talked about earlier, won it last year and there is little reason to say that he won’t do it again. I picked Ryan Braun over the giant favorite Ryan Howard: I think Braun is going to go psycho with the home runs this year, hitting around 43 or 44, while Ryan Howard will calm down a bit and end up with around 39 or 40. Braun is a guy I considered for the MVP too, but I decided that he’d finish second, and Wright would end up with the award. Both guys just fell off their horses last year. In fact, not only did they fall of their horses, the horses then proceeded to kick them in the head and excrete waste on their unconscious bodies. While that latter part was quite disturbing, you know it’s true. However, both players also have good talent. Hafner was an MVP contender before his awful 08 year, which included an injury. Khalil Greene was just flat out terrible, as the shortstop who hit over 20 homers the year before was an all-season Mendoza liner. These were two dull, obvious picks. These guys are just INCREDIBLY fast and great base stealers, and they are the frontrunners for the most steals in the two leagues. I would love to say that the Yankees will win the World Series and be totally right. I would love the Yankees proving me wrong and winning the World Series. However, I think we’ll lose in the ALCS and the Indians will pull off a surprise WS victory, upsetting the favorited Mets. Cleveland has a lot of players who can consistently produce this year, including Grady Sizemore, a 40-40 candidate with a good glove, and Cliff Lee, the Cy Young winner of 08. This gives me reason to believe that they’ll break the curse and win their first World Series since the year 1948. Brett Gardner was called up in 08, stunk with the bat, and was sent down. He was called up again, and got redhot at the plate, hitting .343 in his last 35 at bats. He hit .300 in his last 50 at bats. He’s shown the ability to hit, in the majors and the minors. He’s shown patience in his plate appearances, he has shown good defense (Luke Scott anyone? ), and he obviously has that fantastic speed, 13 steals in 14 attempts. With this in mind, I think the Yanks should start him in center field. He can be a catalyst for the Yankees, and he can give them a chance to boast their prospects along with their free agent signings. Look. You can complain about how clutch he is, you can complain about postseason, you can complain about how he’s only in it for the money, et cetera. In the end, he’s still Alex Freaking Rodriguez, and Alex Freaking Rodriguez is the best player in the American League and the 2nd best player in the game, currently. He can still steal 20 bags and hit 40 home runs, he can hit .310 and have 130 RBI. He’s an all around fantastic offensive player, so I pick him for best offensive player. The above picture shows Mark Teixeira swinging a bat, which he is fantastic at. However, let’s not forget that he might be the best defensive first baseman in the game(Douggie Mientkiewicz also comes to mind). There are no better defensive players on the Yanks, so Marky Mark will be their best. Come on. As fantastic as Mo is, it’s hard to go against CC Sabathia. He’s a lefty with great stuff and he’s put up great numbers. He was the 07 Cy Young winner, and did spectacularly down the stretch for Milwaukee last year. There’s that risk of his arm falling off, of course, but unless that happens, he should be the best pitcher. Along with being the best defensive player of the year, and the second best offensive player in my opinion, Mark Teixeira will rake at the plate and dominate on the field. He’s always had a knack for starting out slow and being fantastic in the second half: well, doesn’t that sound familiar? The Yankees have been that way for the past couple of years: Teixeira will be able to carry us to the postseason. One last thing: here’s a song I discovered not long ago, it’s called Before I Forget by Slipknot, I really like it. Take a listen if you like hard rock. The New York Yankees acquired Nick Swisher and Kanekoa Texeira for Jeff Marquez, Wilson Betemit and someone else I’m forgetting I think. I really liked this trade. Some people criticized it, saying Swisher isn’t good average and to get Teixeira anyway… those people are out of their minds, if they don’t mind me saying. Nick Swisher can hit for a good average (.270, .280), provide solid power (30-35 homers) and his OBP is always fantastic. He can play OF and 1B. Some people compare him to Jason Giambi; that’s an unfair comparison. Swisher is similar to JG, but he’s better at everything pretty much. He’s a good contributor offensively and he’ll be good in the middle of that lineup, coming after A-Rod and hopefully Abreu. Now if we don’t resign Abreu, I’d like Milton Bradley or trade for an OF. Bradley is a little risky ’cause he gets into controversy and gets injured, but he’s a real offensive contributor. I’d say he’s better offensively than Abreu. Anyway, good trade Brian Cashman. Holy shizznit! I found this surprising. I thought maybe he’d go to a West Coast team, maybe somewhere else, but I didn’t think the Yanks would sign him. Apparently so… now the Yankees rotation is nearly set. We have a great ace, one of the best in the game at the head of the rotation. He’s got great stuff, he can just absolutely PITCH. We’re going to appreciate having him pitch big games for us, and now we have a come back to Santana. Now we just gotta sign Garland to be #4 and we’re all set in the rotation. It should’ve been Mauer or Sizemore, but eh. This wasn’t as bad as they could screw it up. I’m happy for him, though he was undeserving. The guy had skin cancer and is a midget. I still hate him, but I’m happy for ‘im. Okay, that did not make sense. That’s about it for now, Yankee fans. I’m glad to be back, and I hope for more good news in the future as I’m sure you all do.